Do you ever feel that sensation of being overwhelmed? Do you sometimes wish you could be more relaxed and just turn your brain off or at least onto a slower setting? This is not uncommon. Especially in this day and age where constant attention to social media is the norm. Many people believe they should be multitasking a good deal of the time with three, four or even five activities on the go at once. Studies have shown that you can actually achieve more if you concentrate on one thing, finish it and then move onto another task. That is how business experts claim they can accomplish the most. Have you ever read any books about time management and how to become more efficient at work? The books on this subject that I’ve read encourage you to make lists, prioritize and then tackle tasks one by one. Practicing mindfulness Is the quickest way I know to become more calm and more focused. I know because I’ve tried it and it works. Wikipedia defines mindfulness as, “the intentional, accepting and nonjudgmental focus of one’s attention on the emotions, thoughts and sensations occurring in the present moment.” Meditation is a form of mindfulness. There are many ways to practice mindfulness and specifically meditation. In the most simple form, meditation is just relaxing the mind and thinking about one thing. That could be simply thinking about the breath, or repeating a short phrase. Whenever you notice your mind shifting to something else, you bring it back to the breathing or short phrase. The word meditation can mean different things to different people, but for my purposes here it is simply the act of quieting the mind as described above. Since I started meditating a little over two years ago I noticed I have become more relaxed and calm. This applies to almost everything I do including driving, teaching, presenting, writing and even waiting for flights and taxis. The feelings of stress I used to have when situations would bother me or I’d feel impatient, have, for the most-part, disappeared. When situations arise that used to make me feel stressed, I simply want to slip away and meditate for a few minutes and I know I’ll feel better. I can even meditate in the midst of activities, just by purposefully slowing my mind and thinking of only one thing. The practice of mindfulness has changed my life for the better. I am now happier and more content. There are other ways to achieve a feeling of temporary calm, but I find mindfulness is one of the most effective. 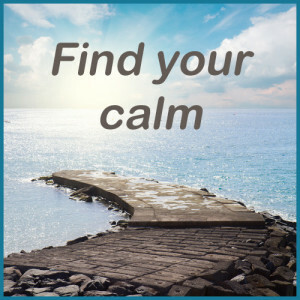 If you are looking for more focus and increased calmness in your life, (and I suspect you are because you are still reading this article), then I strongly urge you to give mindfulness a try. Do it every day for a couple of months and, if you’re anything like me, you’ll notice a positive difference in the way you feel and respond to events in your life. Let me know your thoughts by leaving a comment below.